“What was that?” Vincent Torre said. His three visitors saw nothing. Torre looked to his right and noticed that his 80 pigeons were all standing still, their heads aimed in the same direction, straight up. As Torre followed the pigeons’ gaze into the sky, a shadow crossed his face. Torre is one of the most successful racers of homing pigeons in America. His birds have won more than 500 races over the last 54 years, starting in Hoboken, his hometown, and including competitions in Florida, Texas and Hawaii. He prefers to win every weekend, so he breeds and trains pigeons to compete at every distance, from 100-mile sprints to an ultra-marathon in which birds start in Greenfield, Indiana, near Indianapolis, and fly 622 miles to Torre’s new home in Wayne in a single day. He is the only pigeon fancier to co-star in a television show opposite Mike Tyson. Some people think Torre’s success is due to simple longevity — he started keeping pigeons when he was 10, racing at 16, and winning when he was 22. Others attribute it to obsession. 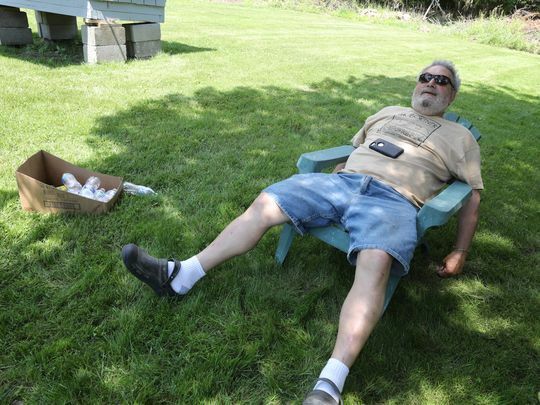 “He sleeps and thinks pigeons 24 hours a day,” Nowicki said. Time and focus explain part of Torre’s success, but they miss the crucial ingredient. Release a pigeon someplace it’s never seen, more than a thousand miles from its coop, and it will fly home at speeds of up to 92 miles an hour using a mysterious triangulation of smell, sight, ultralow-frequency sounds, the position of the sun, the routes of rivers and highways, and the Earth’s shifting magnetism and gravitational waves. Scientists have studied this behavior for decades and still can’t figure out how pigeons do it. “The mechanisms of pigeon homing are still not understood,” according to a recent paper by Hans-Peter Lipp, a professor emeritus of animal communications at the University of Zurich. Like his pigeons, Torre possesses an uncanny ability to see things most people miss, and to navigate the world using senses most people don’t know they have. When Torre first wanted pigeons, he stole them. He was 10, and his backyard neighbor was a pigeon racer with a coop on the roof. Then he stole his sister’s red cedar hope chest, drilled a hole in it, and placed it on his roof as a coop. The neighbor and his sister noticed immediately. The neighbor, Frankie Luongo, owned a grocery store. After retrieving his pigeons, Luongo hired Torre to work in the store and help care for the birds. Thus began Torre’s long apprenticeship. Another racer, whom Torre remembers only as Funsie, was the spookiest. He took Torre into his coop at night and turned off the lights. He handed birds to Torre, and told the boy to pick a winner. Working blind, Torre felt the expansion of the pigeons’ air sacs, the resistance in their wings, the feel of their chest muscles, which should have the consistency of bathroom caulk. He won his first race in 1969. He still remembers the bird’s tag number: Hudson County #67. Once Torre started winning, he never stopped. 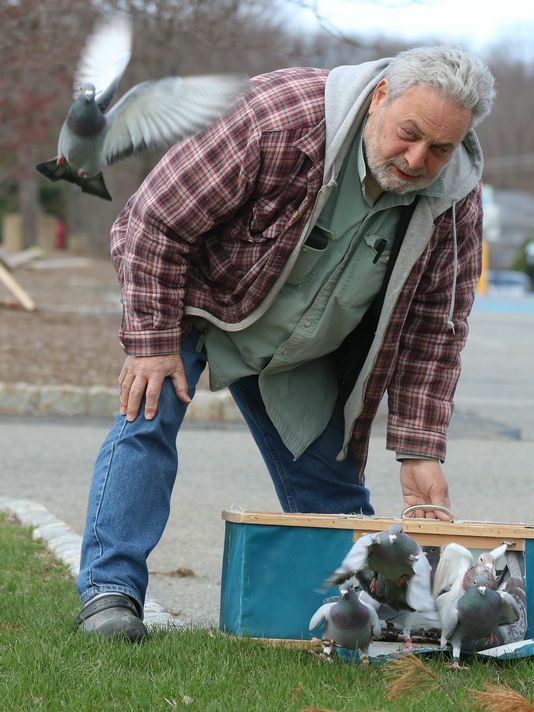 “Vinnie is a hard guy to beat,” said Jim Walker, the Lyndhurst Homing Pigeon Club’s treasurer. Torre still uses his hands to pick winners. And whenever they fly, he watches. Torre can see two dozen birds flying half a mile away and tell which pigeons are his, which are wild, and which belong to his neighbor, a fellow racer. “I don’t understand how he does it,” said Lynne Earing, Torre’s partner. It seems mysterious to others, but to Torre it just makes sense. At his old junkyard, he maintained the precise location of 100,000 car parts in a mental map in his head, he said. It’s the same part of his brain that he uses to track the stride of each pigeon in flight, down to the extension of the wings and the sink of the belly. Torre has a hard time explaining it, but his system works. If he goes a weekend without winning a race, he gets grumpy. Torre was a nationally renowned pigeon racer and Mike Tyson was a 17-year-old boxing prodigy when the two first met in a rooftop coop in the Bronx in 1983. They bonded over their shared love for pigeons. After he retired, Tyson wanted to film a reality TV show about pigeon racing, so he asked Torre to be his coach. They spent a year together filming the show, called "Taking on Tyson," which ran in 2011 for one season on Animal Planet before it was canceled. The two men talk often. When Tyson heard about the deadly NJ Transit train crash at Hoboken Terminal last September, he called to make sure Torre was OK.
Torre also believes that when most people look at pigeons, they miss the point. Scientists use all sorts of exotic paraphernalia to test theories about pigeon navigation. Researchers have forced pigeons to fly over a giant meteorite crater in Ukraine where the Earth’s gravitational pull is weak. They saddle pigeons with GPS trackers stuffed into tiny backpacks. Researchers flash pigeons with bright lights, cover their heads with tiny hoods, and perform brain operations to disconnect their olfactory organs. None of it has worked. 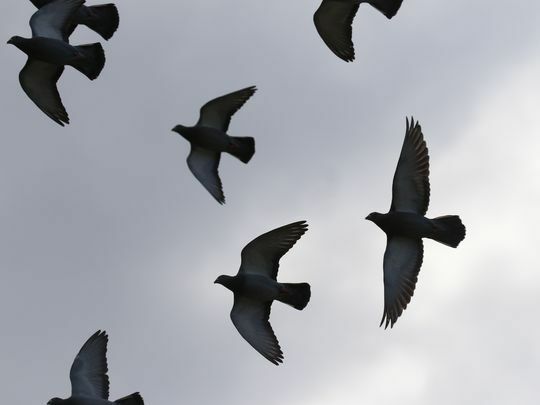 Science remains nearly as baffled about pigeons’ homing abilities as it was more than a half-century ago, when Torre first fell in love with the birds.